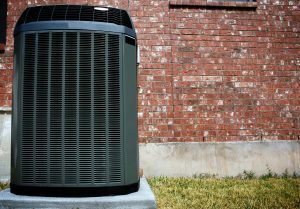 Almost every air conditioner comes with a warranty, covering replacement parts for a set period of time (usually 8 to 12 years, though variations may occur). That means if the system breaks down while the warranty is still in effect, you only need to pay for the technician’s labor to get it fixed, not the part. As long as the warranty is in effect, repair is usually the better call than replacement, and even if the warranty has expired, your unit may still be in reasonable enough shape to merit a repair job over a replacement session. However, if the costs rise higher than you think the system is worth and the warranty has expired, you may want to think about a new system. The Cost of Repairs. Sometimes, a repair job is very easy and inexpensive, even when the air conditioner is old. But as air conditioners get older, wear and tear will take their toll, and even inexpensive repairs can be worrying if they start to stack up. Generally speaking, if you have to call for more than two repair sessions in the course of the same 12 months, it might be time to look at getting a replacement. Alternately, there may only be one repair involved; but if it’s sufficiently expensive, it may make more sense to spend that money on a new system instead of pouring it into the old. Monthly Costs. Sometimes, it’s nothing specific that merits a replacement, but the simple fact that operating it from month to month has become too expensive. As air conditioners age, the parts and components wear out, and while that might not be enough to cause a breakdown, it can easily make your air conditioner waste a lot of energy. This can translate to progressively higher monthly bills, until you need to get a replacement just to keep your household budget in check. For quality air conditioning repair and replacement services in Bay Village, OH, call the friendly pros at Westland Heating & Air Conditioning.